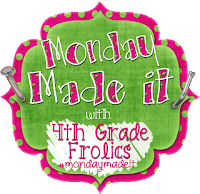 I am very excited to be linking with Tara at 4th Grade Frolics for her super inspiring linky. 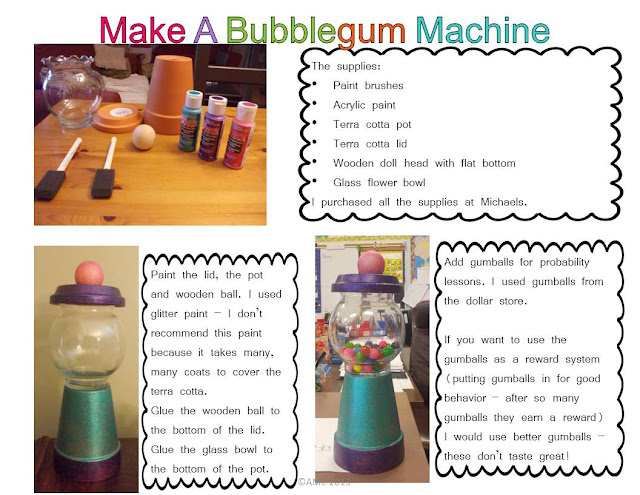 I made a gumball machine. My daughter came home from a crafting birthday party with one last year and as soon as I saw it I knew I wanted to make one. 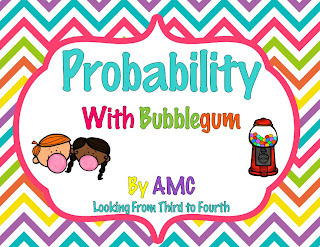 This year I bought Bubble Gum Trouble from Krista Wallden and used it to make a little probability unit. I made the gumball machine to use in my lessons. 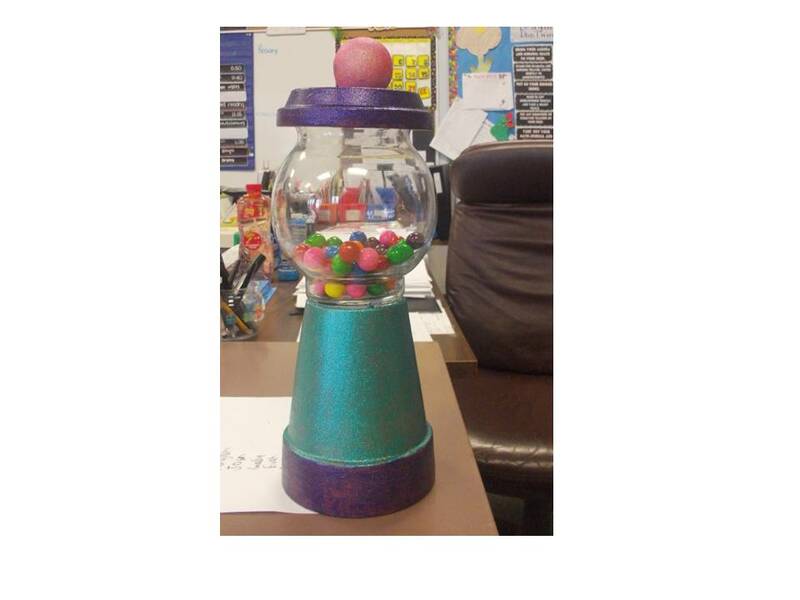 I hope to use it next year as a class incentive tool - fill up the gumball machine earn a prize. It goes with this little unit I made. I made these for my daughters. Okay so I printed them and framed them. I got the print from the super talented Megan @ I Teach, What's Your Superpower. I love the message and I am working very hard to try and ensure that my girls have a positive self-image, a strong sense of self and confidence. To try and help with that I put this word art up in the bathroom so they could read the message every day. Not great picture quality - the walls are actually blue! 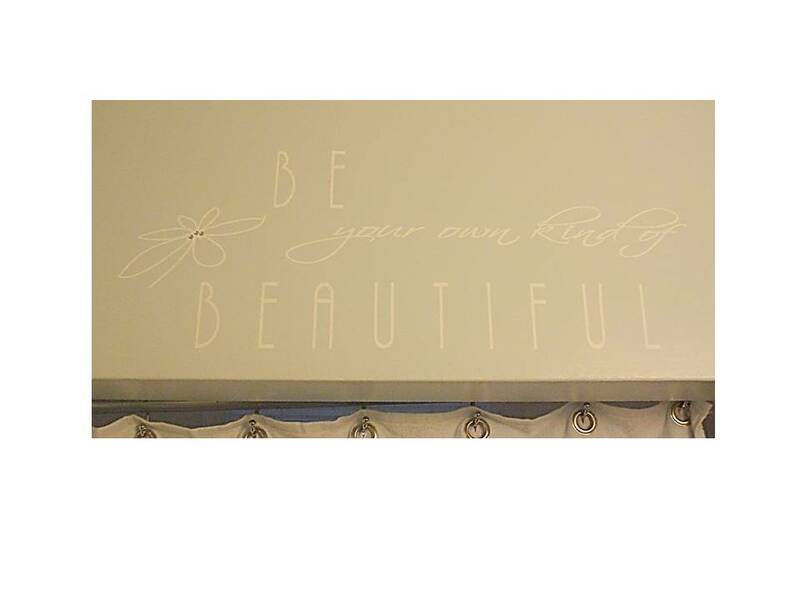 It says "Be Your Own Kind of Beautiful" and it has a little bling in the middle of the flower - it came with more but I went easy on the bling, my husband uses the washroom too! Last but not least I made these numbers for my Made it Monday posts using a frame from the aforementioned talented Megan. I made three numbers to keep me motivated but I just ran out of time this week! Hopefully next time number three will be a little better! I love the positive messages you are working on with your girls. And how very thoughtful of you to go easy on the bling for your husband. I know mine would hate any kind of bling (we do not have any daughters yet, he will have to get used to it if we ever do! )...so good for yours for tolerating even a little! I LOVE the gumball machine. 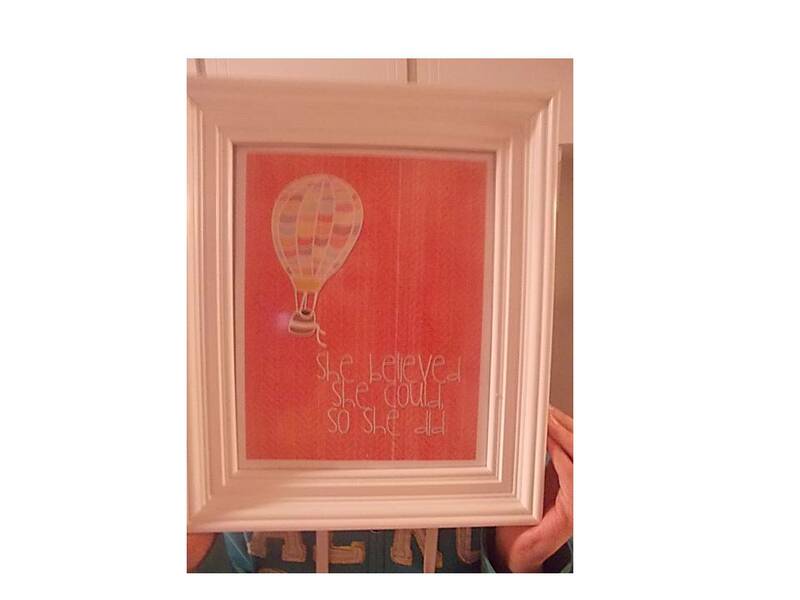 I am trying to figure out if I have ANY reason to make one for my room too! The bubblegum machine is adorable and I really like the wall word art. I'm impressed you are getting anything done with 14 days of school left. Keep it up. Your Monday Made Its turned out fantastic, AMC! I loved them and they are just perfect regardless of how much or how little time you have! The gumball machine is just adorable, as well! Adding that to my to-do list! The positive messages for your daughters are so wonderful! I loved your gumball machine as well! I think i am going to try that this summer maybe with a little chevron flair! Love that gumball machine!!! And I love the messages for your girls! I'm copying your numbers! Love them too! I love the gum ball machine! And the inspirational message is beautiful! Absolutely LOVE your made-its! The quotes are wonderful! Thanks so much for sharing!